Tiny monarch eggs attached to milkweed and learned of the desperate need to grow more of this life sustaining plant in all our gardens. 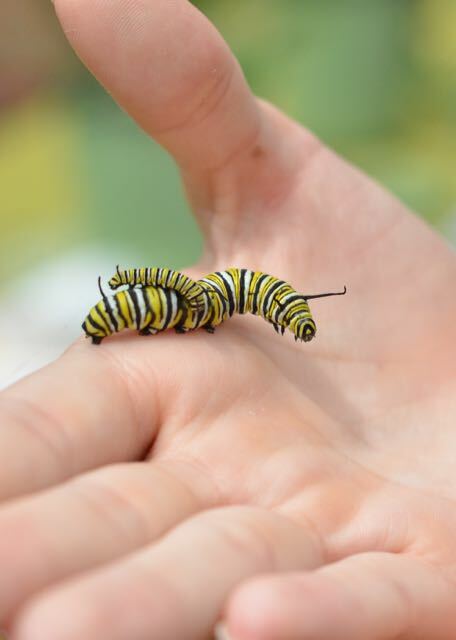 5 stages of instar caterpillars can be handled and enjoyed. Breath-taking chrysalis will be elegantly displayed each with its own stunning band of gold. Pick up a magnifying glass for a closer look. 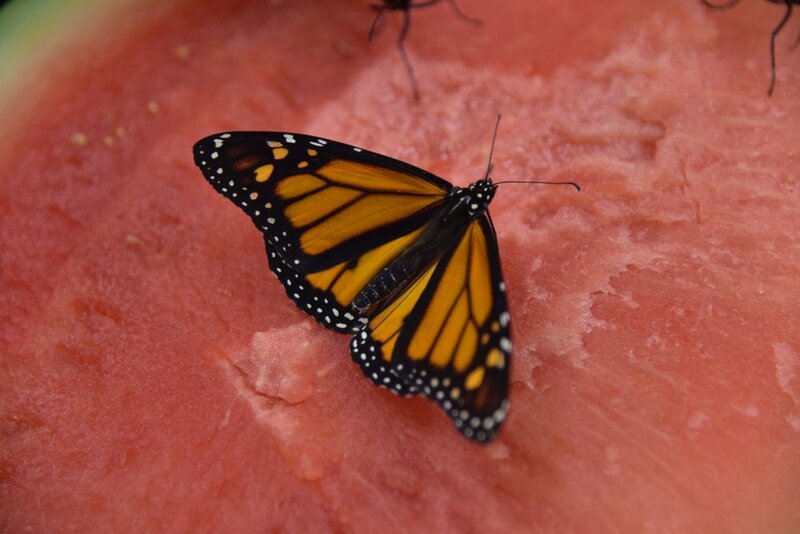 Learn about Monarch lifecycle, eating habits, and other facts and figures. BTG board members and Monarch friends from across the county are on hand to assist. With your completed passport - Step inside a 20 foot tent filled with Monarchs and get immersed! AMAZING!? 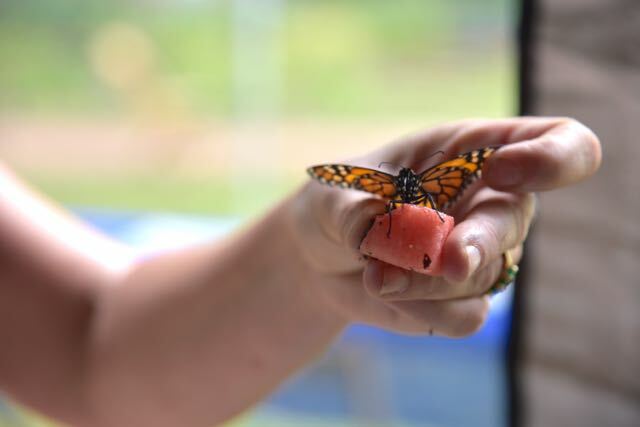 Monarch specialist and BTG guest lecturer Lori Stralow Harris from the Salt Creek Butterfly Farm in Chicago presented this interactive life cycle experience. The next Monarchpalooza! will occur during the 2019 season.